As children, we paired our favorite Disney films with beverages like chocolate milk, apple juice, Capri Suns, and—if your family was super cool—Kool-Aid Bursts. As adults, our routines have likely changed a bit; I know mine certainly has. 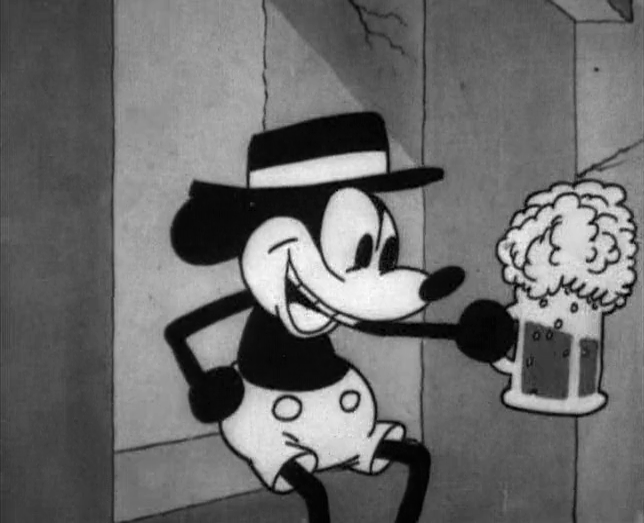 A beer-drinking Mickey Mouse from Disney’s 1928 short film The Gallopi’n Gaucho. © Disney Enterprises, Inc. All Rights Reserved. When I watch Disney movies these days, the reactions I have to them are different: When Bambi’s mom dies, it hits a little bit closer to home because I now know the feeling of losing a loved one and have more of a grasp on the concept of human mortality. When Dory talks about her short-term memory loss, I feel a twinge in my heart because I, too, know the uphill battle of living with mental illness as well as the utter joy that is finding someone who understands that struggle and becomes your comrade. To complement these complicated feelings and reactions, I like to pair them with my favorite adult beverage—beer. Now, let me be clear: I am not saying “Everything is sad; let’s drink.” Quite the contrary. Drinking while sad is kind of a terrible idea . . . it usually makes you feel shittier, so maybe don’t do that. What I am saying is that, as adults, we process things on a more complex and informed level now. We also process drinks similarly. The sugary loves we had are now frequently replaced with our new adult loves, like beer, gin and tonics, wine, etc. In this post, I aim to pair the complex grown-up readings of Disney movies with the complex tastes, smells, and textures of beer. Both the beer and the lady can hold their own, while still being adventurous and delightful. © Disney Enterprises, Inc. All Rights Reserved. Tangled takes us on the adventure of Rapunzel and renowned bandit/suitor Flynn Rider. 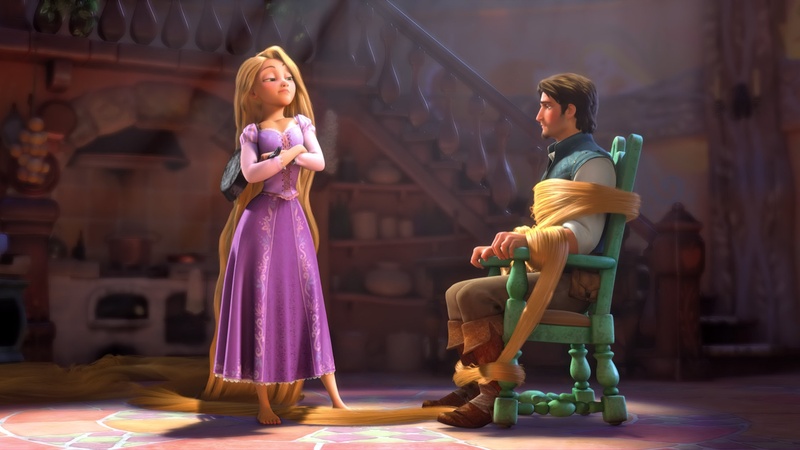 Rapunzel, searching for independence but mostly for a bunch of lanterns at a festival, runs off with Flynn in search of these things after he scares her by sneaking up her tower via her hair (she mistakenly thinks he is her mother). In this film, we see a strong and capable princess who is all kinds of awesome but also more than a little bit sheltered and wary (I mean, she was locked in a tower until her coming of age). Despite her mother brainwashing her into believing that the whole world is terrible and dangerous, she still manages to be friendly to almost everyone she meets along her journey and maintains a sweet persona when she isn’t hitting enemies over the head with her frying pan. For this reason, I’ve paired the movie with an equally sweet and multifaceted beer. 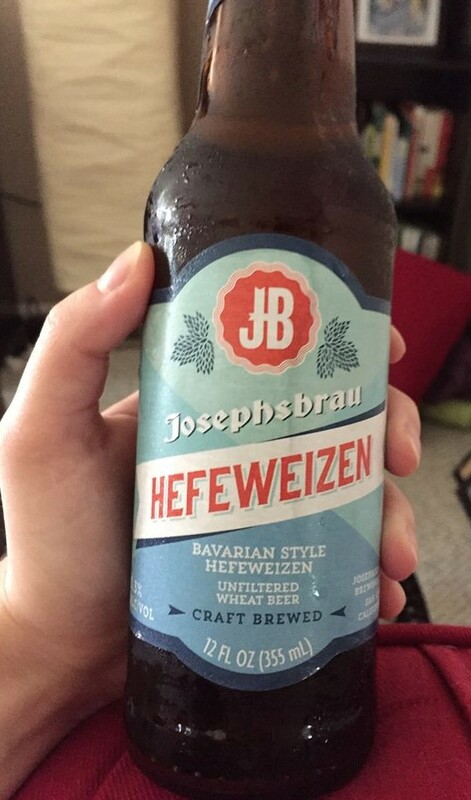 JosephsBrau Hefeweizen pairs well with Tangled, particularly its leading lady. This pale, unfiltered wheat ale makes good on its promise of notes of bubblegum and banana. It also promises clove, but I was unable to detect this through the bubblegum that is apparent on the nose and the notes of banana heavily woven throughout this brew. It’s so complex and flavorful that you’d never guess that it’s actually a store brand! 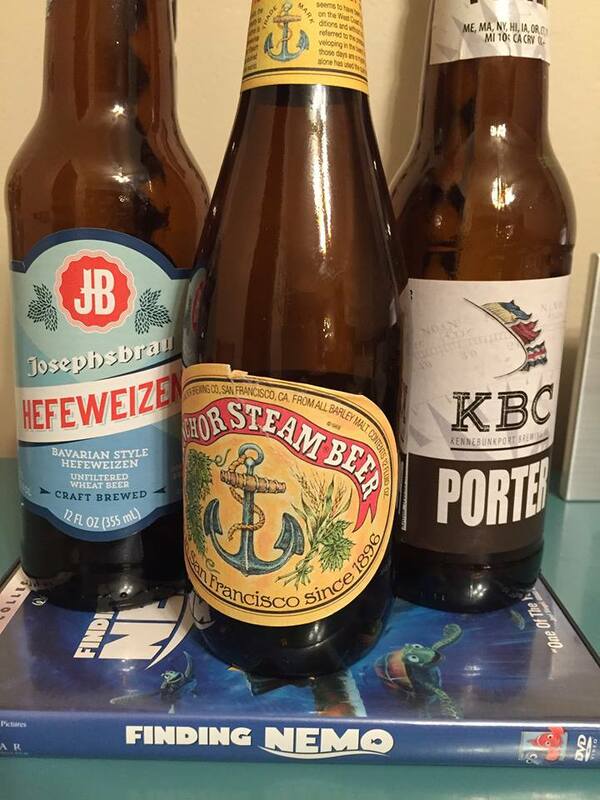 That’s right: JosephsBrau is brewed for Trader Joe’s by Gordon Beirsch. While the sweeter notes definitely prevail in both Tangled and this beer, both are absolutely adventurous and capable of holding their own. Both are also pale, bubbly, delightful, and clearly bananas. That glorious scene where Dory speaks whale might just make you spit beer right out of your nose. © Disney Enterprises, Inc. All Rights Reserved. Finding Nemo tells the tale of a little fish who is separated from his helicopter father when he’s kidnapped by a dentist with a penchant for marine life. As Marlin, Nemo’s widower father, searches for him all over the ocean, he is befriended by Dory, a sweet, comical fish with short-term memory loss. The themes of overprotection, loss, and growing up make this a rich movie with many moments that tug at the heartstrings. A complex, bubbly amber ale that gives you the desire to be near the sea, in the sun, sipping at leisure. This complex film pairs well with an equally complex beer. 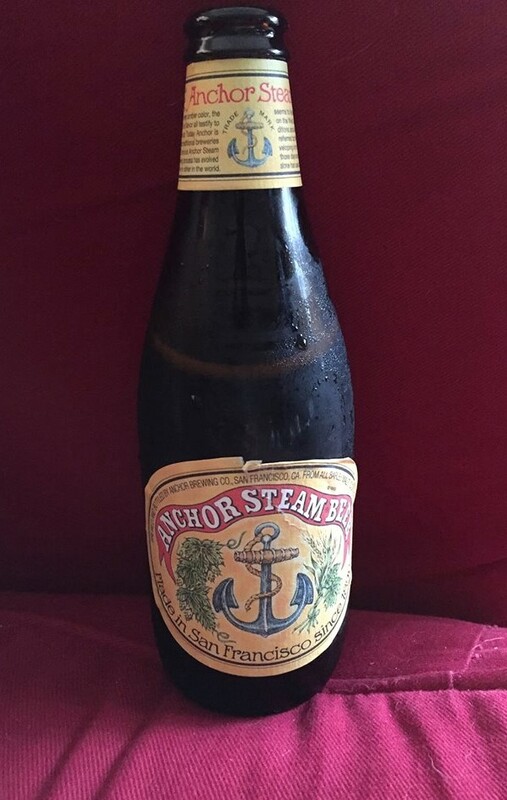 Anchor Steam amber ale is a light-bodied ale with a complex flavor profile of hops, citrus, and malts. Its aroma is grassy with a tinge of bitterness up front that lingers at the back. It’s brewed in a steam bath, which results in a highly effervescent beer—think champagne-like carbonation instead of your typical beer bubbles, which is reminiscent of the bubbly personality of Dory. A favorite in many people’s hearts, Dory provides much of the comic relief in this fairly heavy-themed movie. The bitterness at the front of this beer goes well with the dark themes of loss and the angst of being raised by a helicopter parent. The citrus notes and light mouthfeel pair well with the oceanic location of this film. 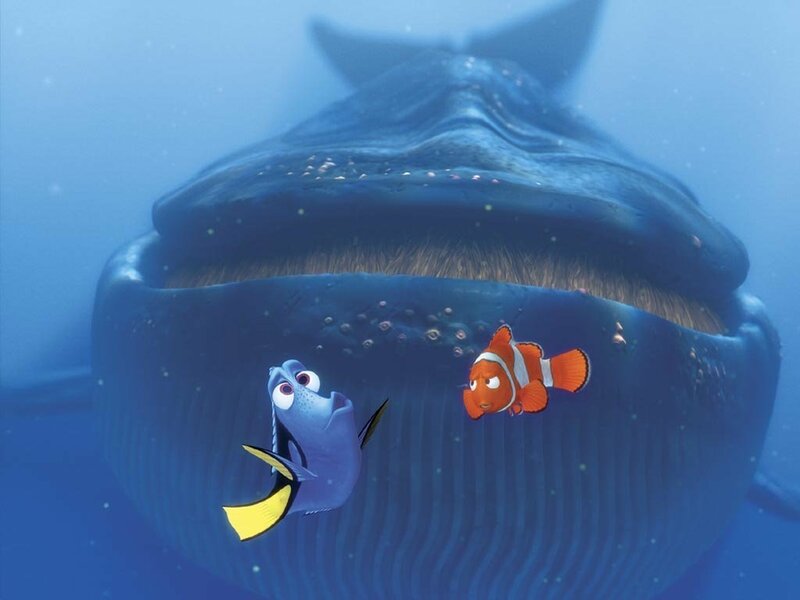 This pairing is best enjoyed with a bulk-sized box of tissues, because let’s be real, nobody’s got dry eyes when Dory talks about her and Marlin’s friendship helping her cope with her short term memory loss, or when little Nemo leads a revolt against the tuna fisherman. Here we see a lively and adorable pre-mortem Sparky. He’s just as cute post-reanimation, if a bit morbid for the weak-stomached folks. Frakenweenie hits home for every child who has ever lost their four legged best friend and wished more than anything that they could bring their buddy back to life. The main characters in this film are Victor and his co-star, Sparky, his loyal dog friend. Victor is an odd duck—the kind of odd child that so many of us can relate to. He is a creative spirit and spends much of his time with just Sparky, in his attic, making films and doing science. He’s basically a nerd who loves his dog more than his peers (dude, I know that feeling). This film is as dark and twisty as you would expect of a Tim Burton film, and I would caution those with weak stomachs to proceed with caution. There are some scenes that could be a bit too gross for some folks. 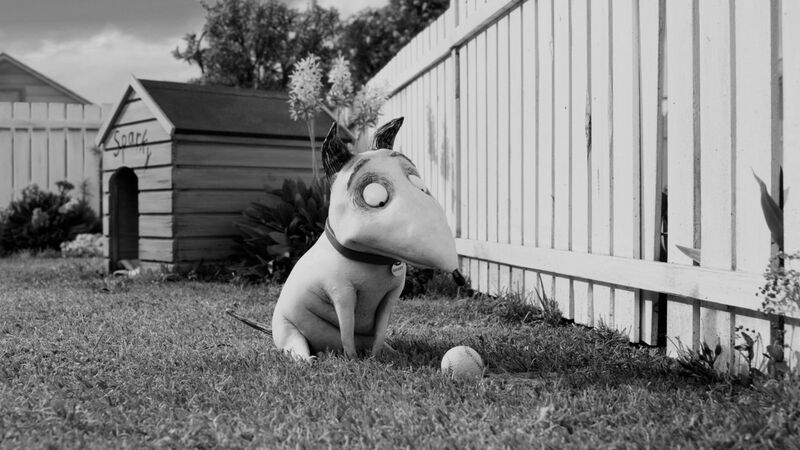 For example, there is the scene in which a reanimated Sparky wags his tail with so much gusto that the stitches pop loose and his tail flies off his body, or the one in which he eats a fly and it it crawls out the stitches in his neck (I’m not super squeamish, but even I cringed a bit at that). For its dark and twisted style, as well as its hefty themes of mortality and love, I paired this film with KBC Porter. This is a dark, heavy porter, paired with a dark, heavy themed movie that has quick wit and heartwarming comic relief. The mouthfeel is thick, and bitter at the back—a taste that only the sadness of watching your childhood dog get run over in front of your young, innocent eyes can match. Roasty notes of coffee and hops that dance on your tongue and zing your taste buds pair especially well with the scenes involving lightning striking corpses and burning scenery. This pairing goes well with a sense of hopeful longing that one day, reanimation will be a reality and you and your childhood furry BFF will be reunited again. I have no good words for this movie except that “Do You Wanna Build a Snowman?” and all of its parodies make it less sad that this movie is so popular right now. © Disney Enterprises, Inc. All Rights Reserved. Frozen is basically the story of two sisters with a complicated relationship. As kids, Elsa accidentally almost kills Anna, her younger sister. Anna is healed by magical trolls, and then Elsa, not trusting herself or her icy powers, locks herself away from everyone. Upon the death of their parents, this leaves Anna isolated as well. When Anna meets Prince Hans and falls in love, Elsa runs away and accidentally leaves the kingdom of Arendelle in a perpetual state of winter. 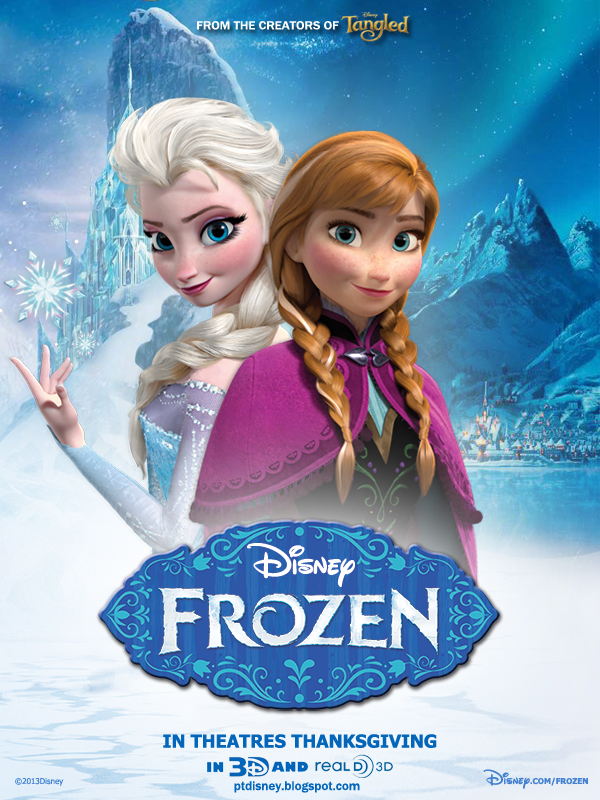 Anna teams up with a lumberjack named Kristoff, and his reindeer sidekick Sven, and a singing snowman named Olaf to try to track down her sister and save Arendelle. On paper, the movie sounds great. It sounds complex and promising. Then you watch it, and all of that promise goes right out the window. Good thing we’re pairing these with beer to wash down our disappointment, but wait! The beer I’ve paired this film with turned out to be just as disappointing. 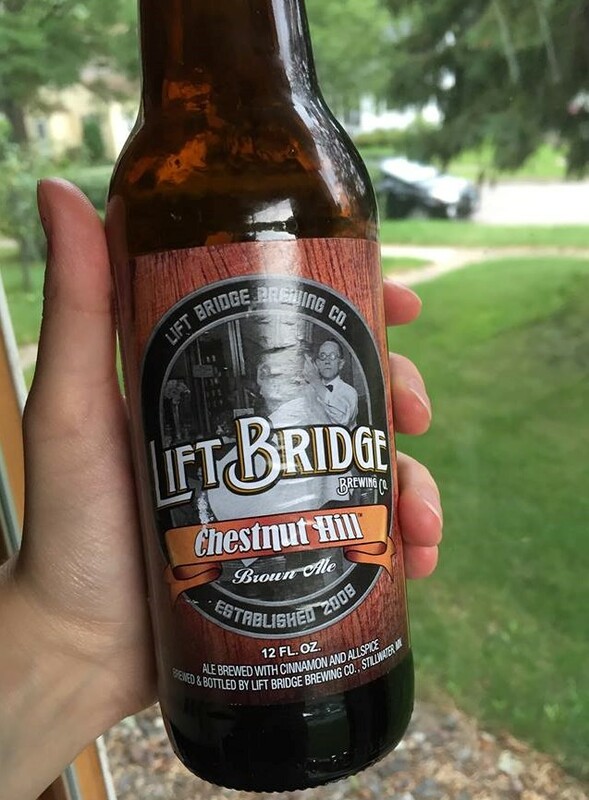 To go with the chilly setting of Frozen, I chose the Chestnut Hill brown ale, brewed by Lift Bridge because of the wintry spices used in its creation. Promising notes of allspice and cinnamon, this beer, at first glance, conjures up cozy images of warm, fluffy sweaters and nostalgic snowmen, all frosted with winter whimsy. Upon further inspection, however, it misses the mark entirely, much like Disney’s production. All the flavors of this brew smack you in the face, much like that moment when “Let It Go” tries to fit a few too many syllables into, well, pretty much every line of the song, threatening to forever mar your love of Idina Menzel (or Adele Dazim, or whatever we’re calling her these days. The beer that made my taste buds cry. The hop content of this beer, which wasn’t alluded to anywhere in the labeling or description, comes off similarly to the dancing rock trolls and singing snowman of Frozen—mainstream, irrelevant, and trying too hard. The glassware for this brew is a trick question, as it isn’t really glassware at all, but organic, compostable material: the cold, empty heart of the disappointed feminist who keeled over when the sisters are saved from an evil prince by none other than Not-a-Prince Charming. If that scene didn’t make you lurch, this brew sure will. Missing from this line up is Lift Bridge’s Chestnut Hill brown ale. Disappointing beers don’t get to be in group photos! So don’t take anything too seriously, and remember the most important thing about drinking beer: enjoy it, and have fun!